Refinery workers are vulnerable to numerous health and safety risks, and benzene exposure is one of the most severe dangers they face. Benzene is a natural component of crude oil and gasoline, and is a known cause of cancer. 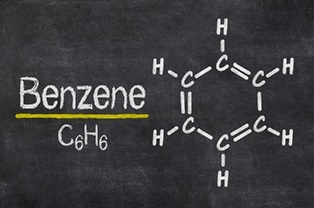 Unfortunately, many employers fail to follow the proper safety procedures to protect their workers from benzene exposure. Refinery workers are frequently exposed to the chemical when they breathe in fumes from fuel emissions. The American Cancer Society lists benzene as a known human carcinogen, and it's identified as a blood poison and bone marrow depressant for decades. Benzene increases the risk of contracting various types of leukemia, including acute myeloid leukemia, acute lymphocytic leukemia, and chronic lymphocytic leukemia. White blood cells allow the human body to fight off infections, but in leukemia victims, the bone marrow generates abnormal white blood cells that don’t function properly. Over time, these abnormal blood cells crowd out healthy cells in the bone marrow, leading to the symptoms of leukemia. Physicians typically diagnose leukemia by running a series of labs, including bone marrow, blood, and spinal fluid testing. The resulting treatment program depends upon a variety of factors, but generally includes radiation therapy, chemotherapy, drug therapy, and bone marrow transplants. If you were diagnosed with leukemia, you need a knowledgeable attorney who can review your health and employment records to identify any causal link between benzene exposure and your cancer. If your leukemia resulted from working at a refinery, you're entitled to compensation for your medical bills and loss of income.